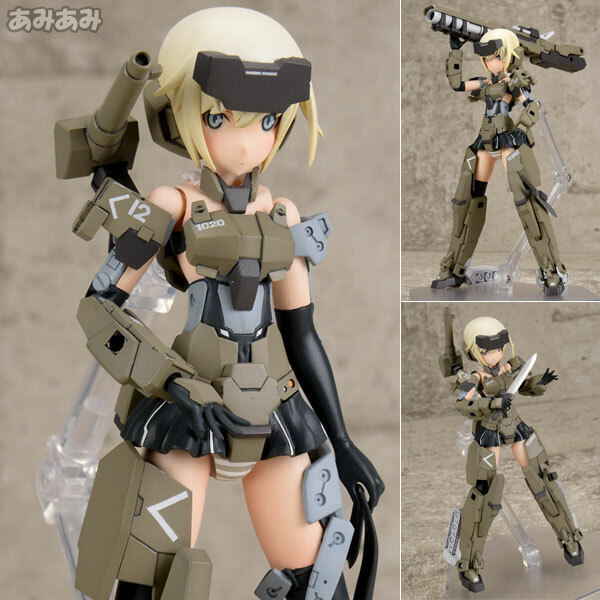 Kotobukiya Frame Arms Girl is a mecha musume series created in line with the Frame Arms mecha series (nuff said). My thoughts so far... I love them! 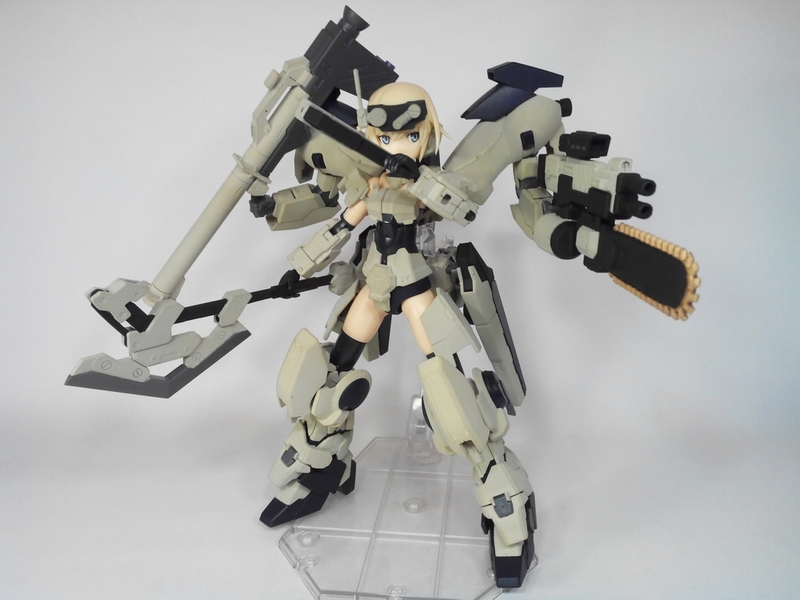 They're nice to look at, easy to mod, and readily compatible with the various weapon and extra option parts Kotobukiya has to offer. 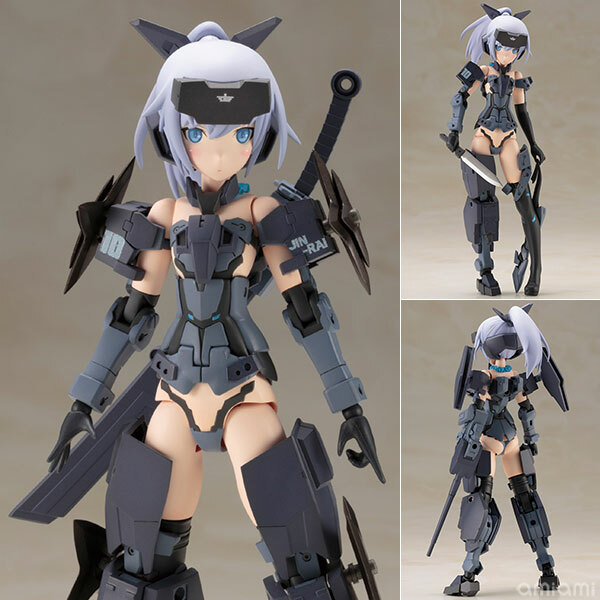 Each kit has 3 face plates minimum, and has decal sheets for when anyone accidentally messes up the eyes, or wants a different styled pantsu. 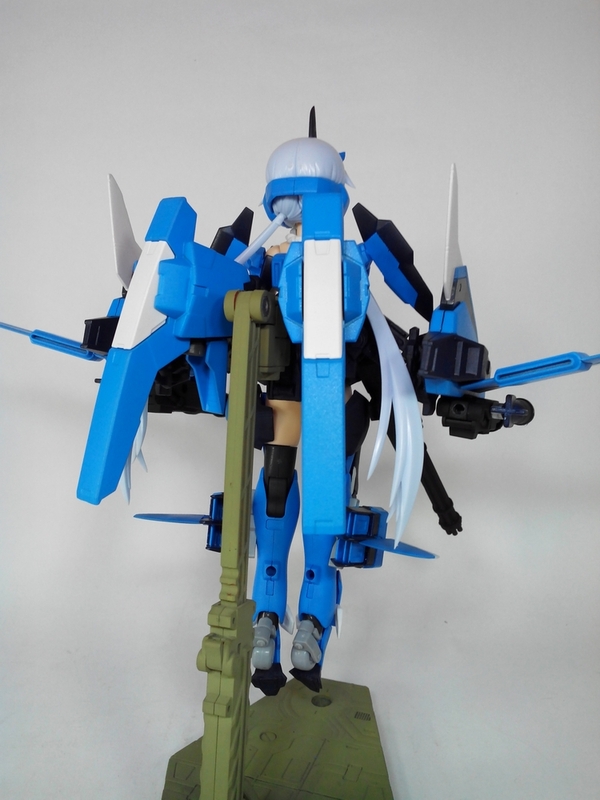 My main gripe would be the hip joint. 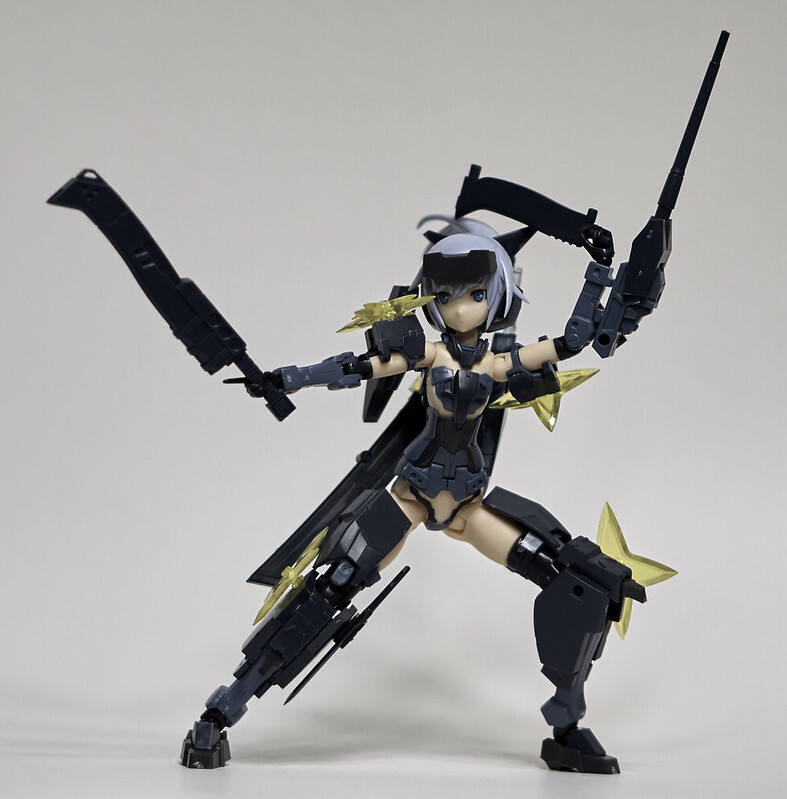 Most cannot fully extend the legs forward because of the way the lower torso (aka pantsu) is built, with the exception of the Materia and Jinrai girls that have great articulation due to additional interior joints (I with they did this with every model). 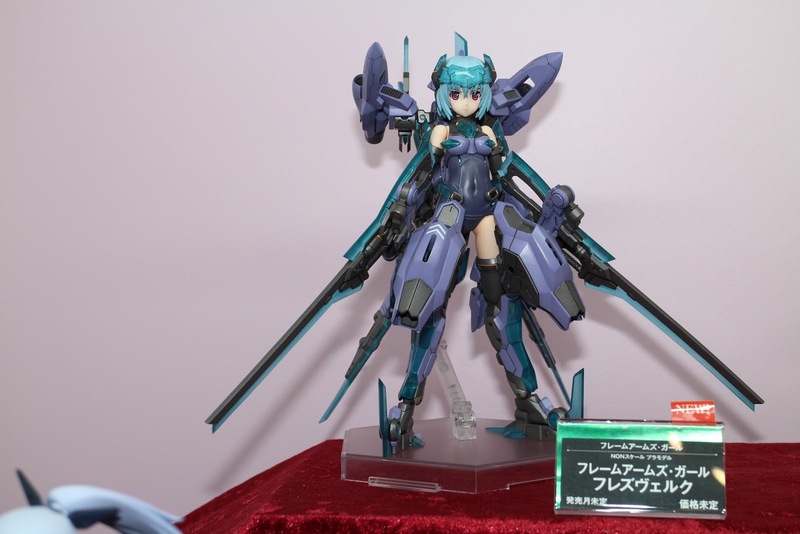 Also, the newer models have swivel jointed wrists that might be finicky to some people. All in all, they're great! 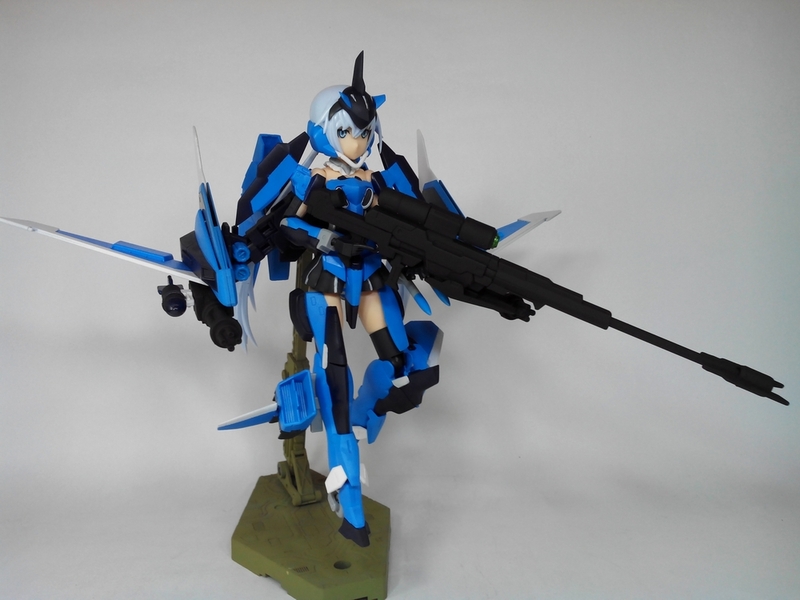 In fact, I've already fully modded two of my girls. 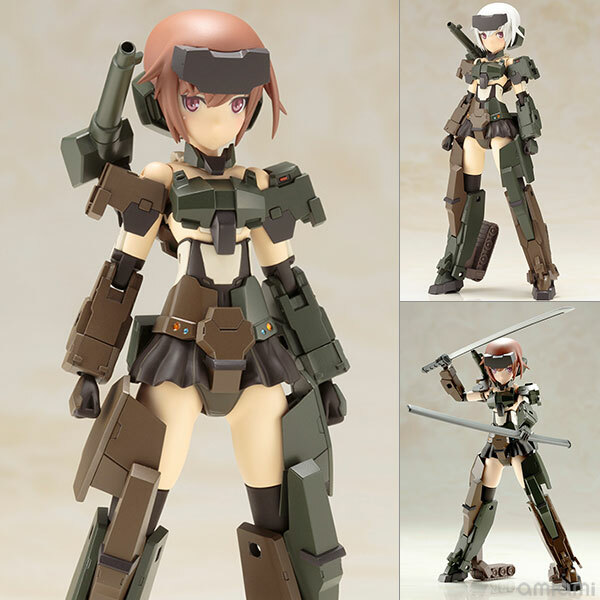 I have Chie (Gourai), Sora (Stylet), Karin (Materia White) and Karen (Materia Normal). 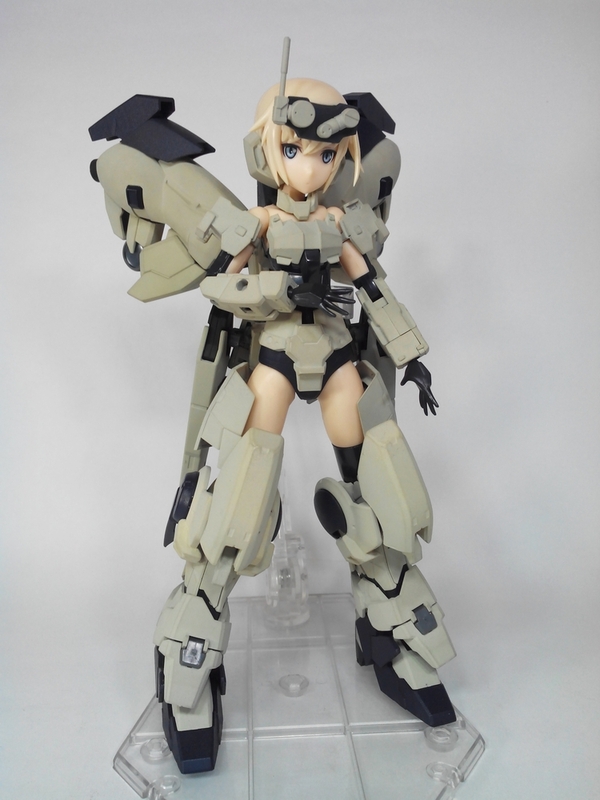 My material girls have repaints and are waiting for pre-ordered equipment. Chie and Sora I've posted in my thread but I'll post their pics here as well. Any thoughts? Additional Info? Please do help expand this thread! 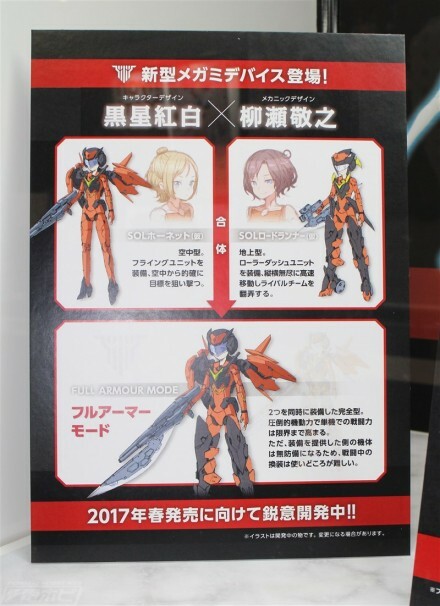 There are two more Frame Arms Girls that haven't been officially listed yet but made appearances at the Summer 2016 WonFes. 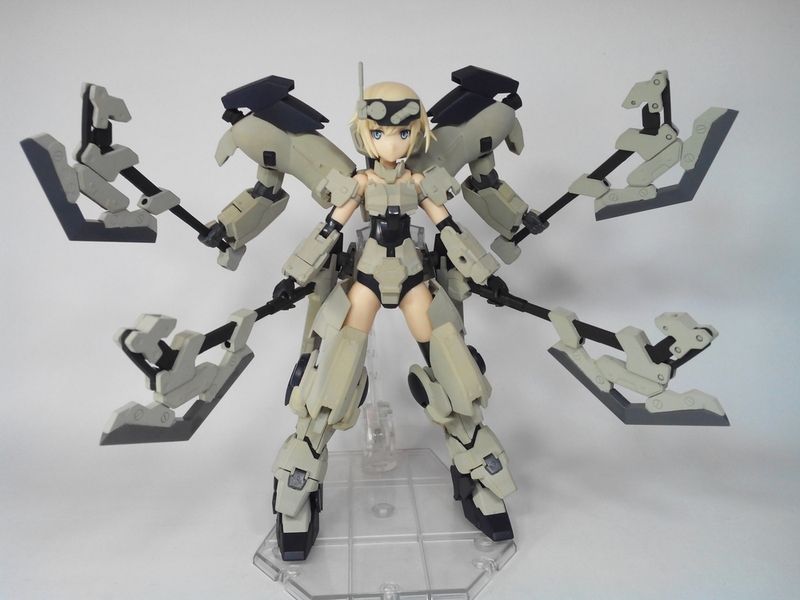 Hræsvelgr Girl was present as a fully-painted prototype and is probably slated for release sometime near the end of the year or early next year. 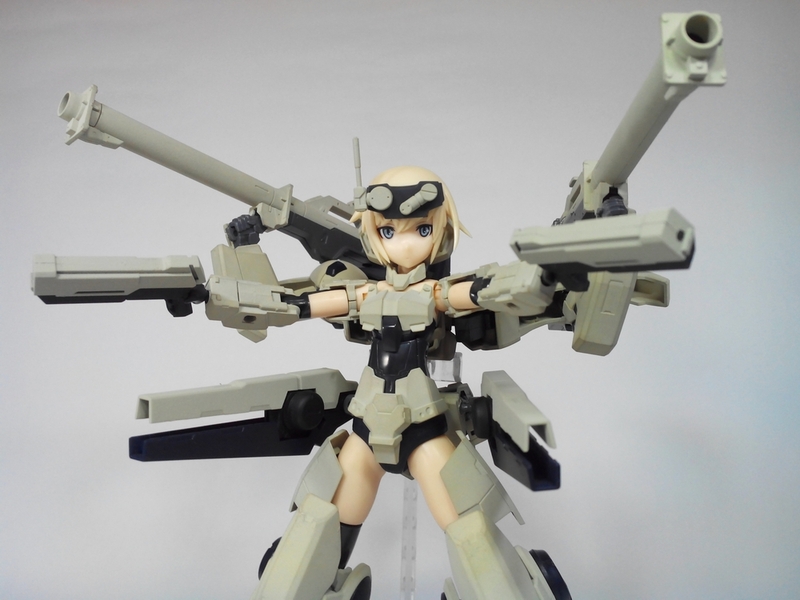 This girl, and her accompanying Frame Arms, have not yet been named to my knowledge. 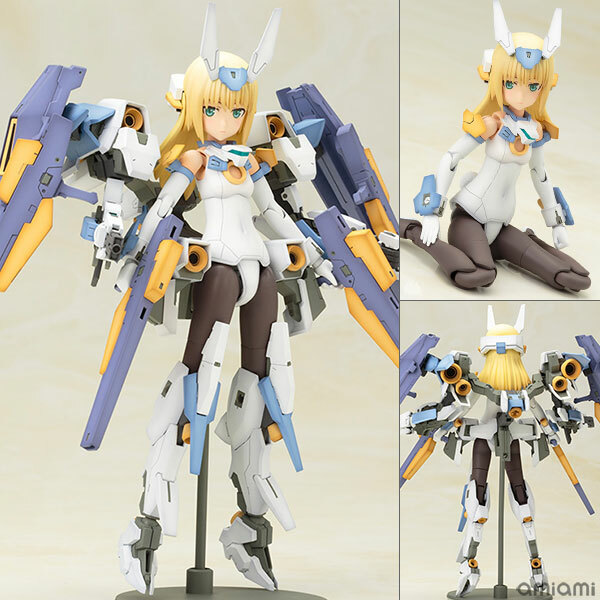 It seems likely that this may be the first simultaneous FA/FA Girl release. 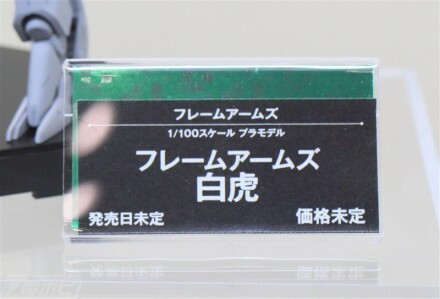 There's also a handful of limited-edition recolors, including a white Gourai, a Kotobukiya Green Gourai, and a tanned Materia (White) version. Too many Gourai's IMO... 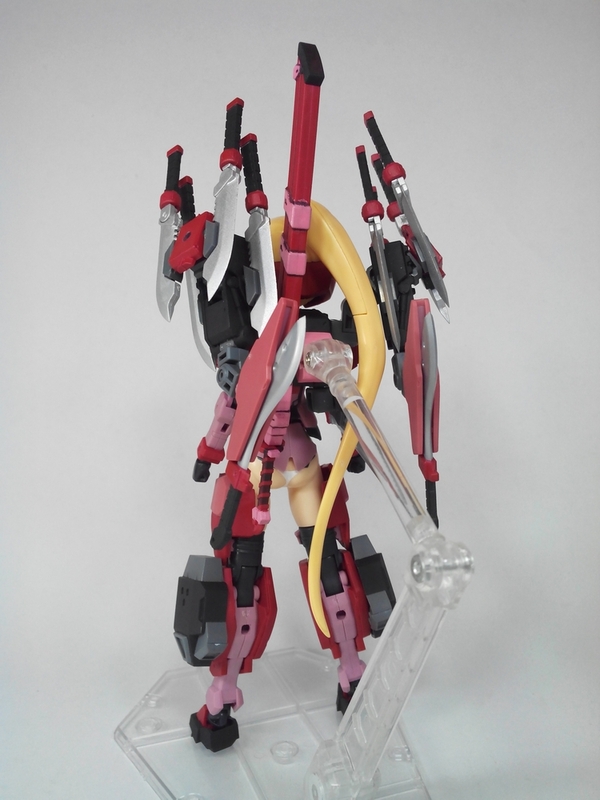 They should just make versions for Ryurai, Zenrai and Werewolf Specter. 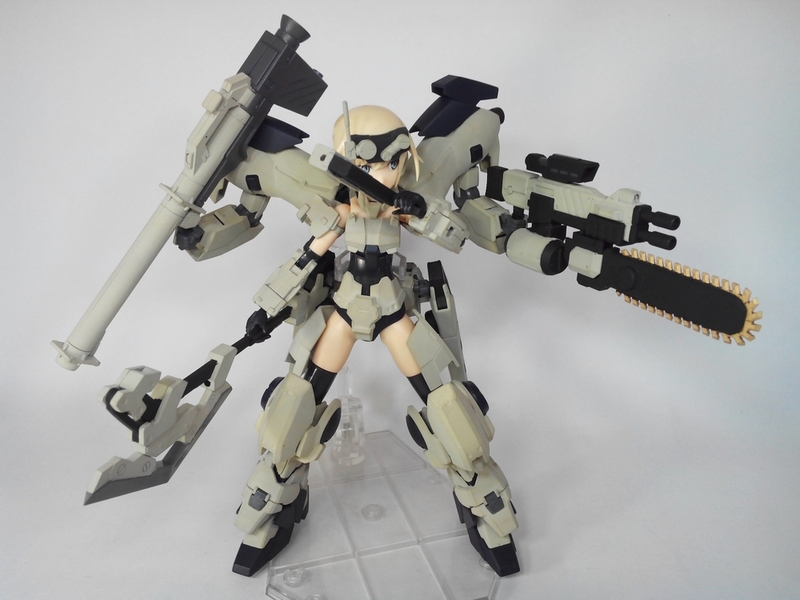 Plus, Jinrai doesn't seem to have a Frame Arms counterpart. 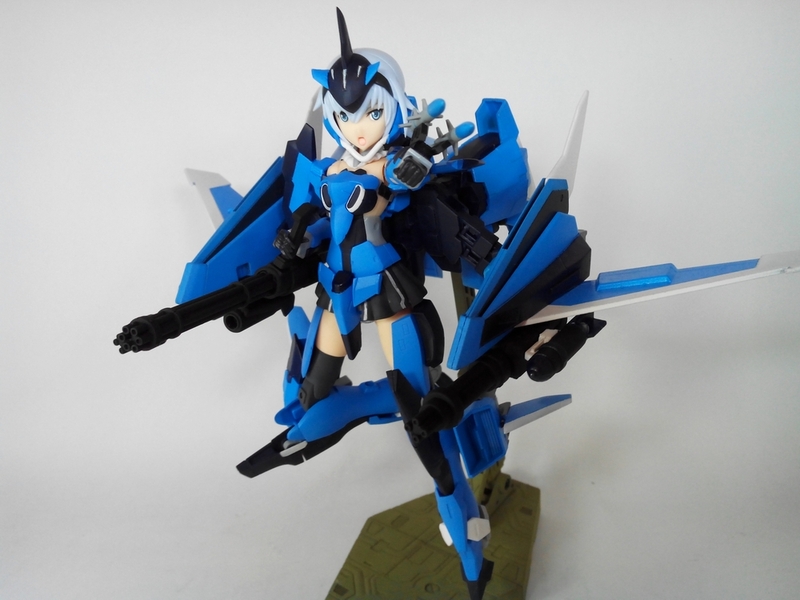 ZeroEdge wrote: Too many Gourai's IMO... 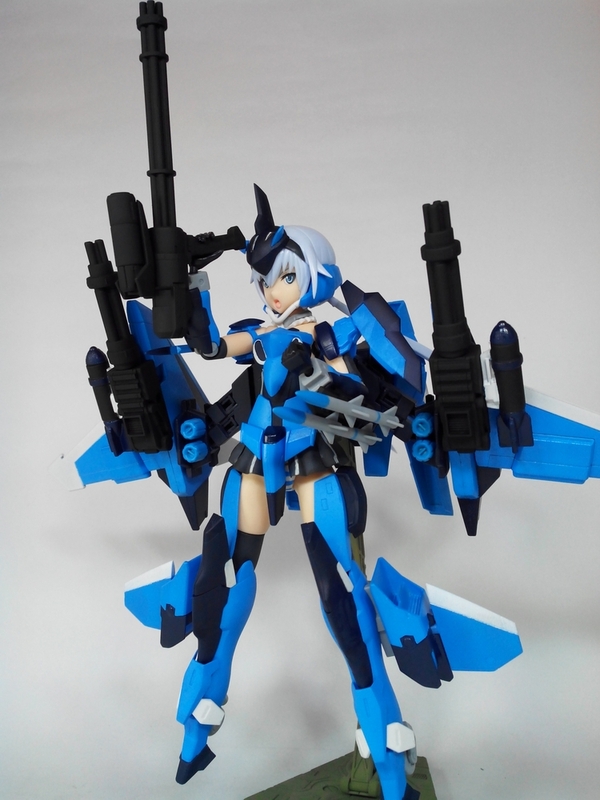 They should just make versions for Ryurai, Zenrai and Werewolf Specter. 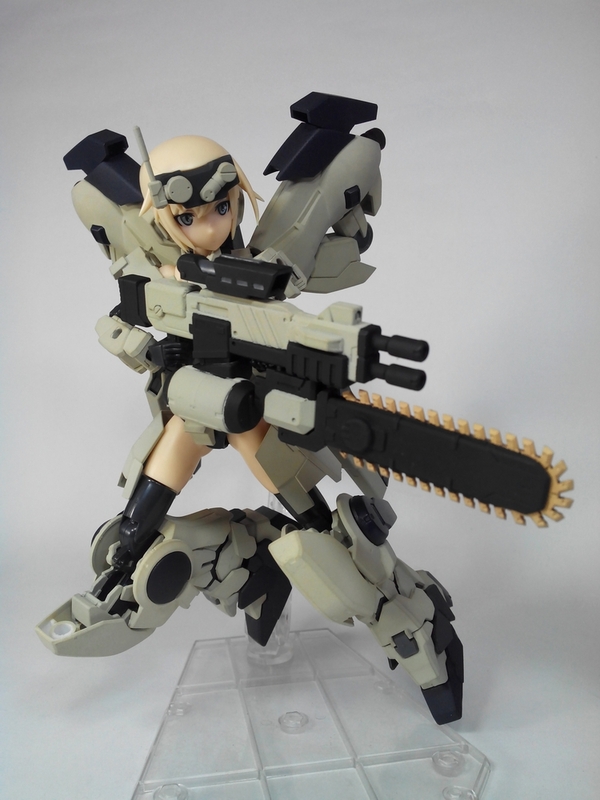 Plus, Jinrai doesn't seem to have a Frame Arms counterpart. 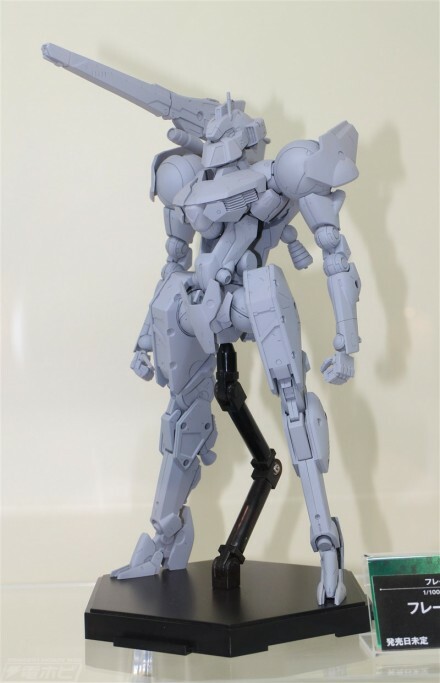 It's worth mentioning that this one is designed by Shinkawa Yoji, who famously did designs for Metal Gear. 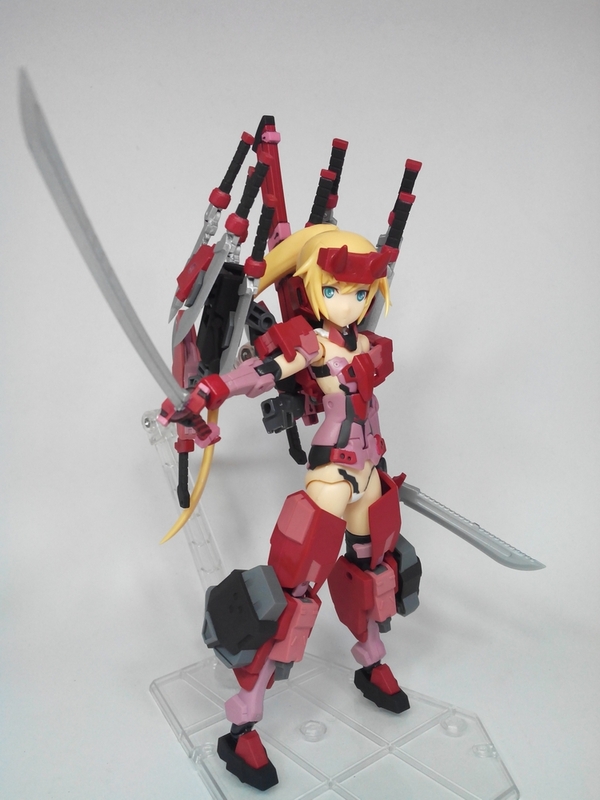 He also designed the game-exclusive last boss Shinki Justice, and mob shinki Mimic. 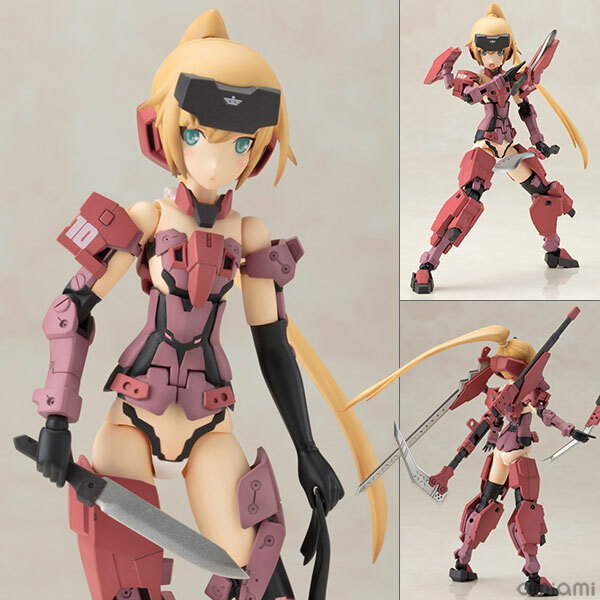 pre-orders up for Megami device....the shinki should not be too far after? 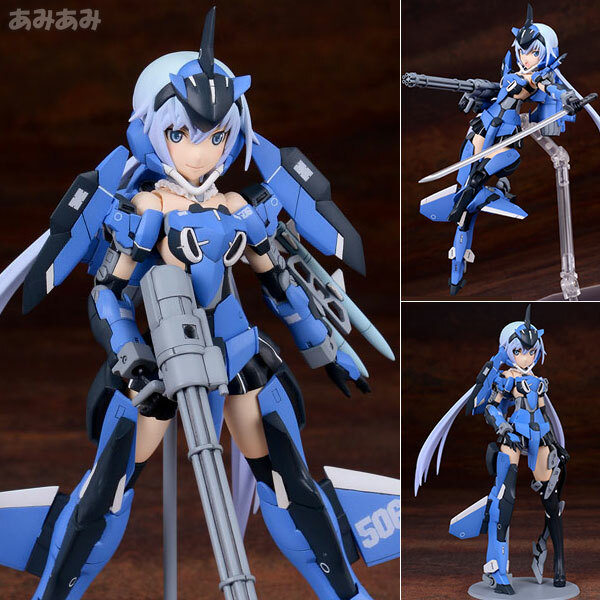 Just read this thread after you mentioned it in your Show and Tell thread, and I must say, I'm finding myself tempted to get a few of these girls. 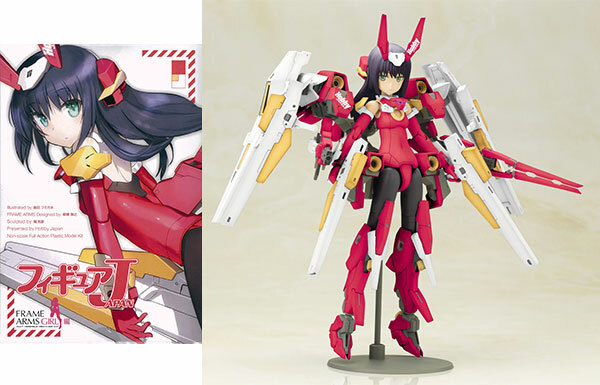 The ones that have definitely caught my eye... Gourai, Architect and Jinrai Indigo. 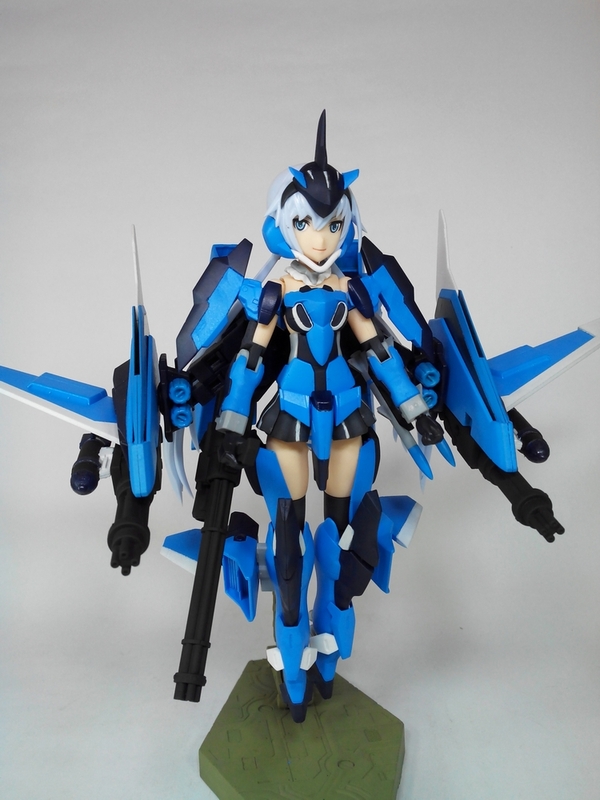 If I do end up getting them (money permitting), I will be sure to post pics of them here. I need an excuse to come onto BSW more often (and not chill out on Twitter all the time). 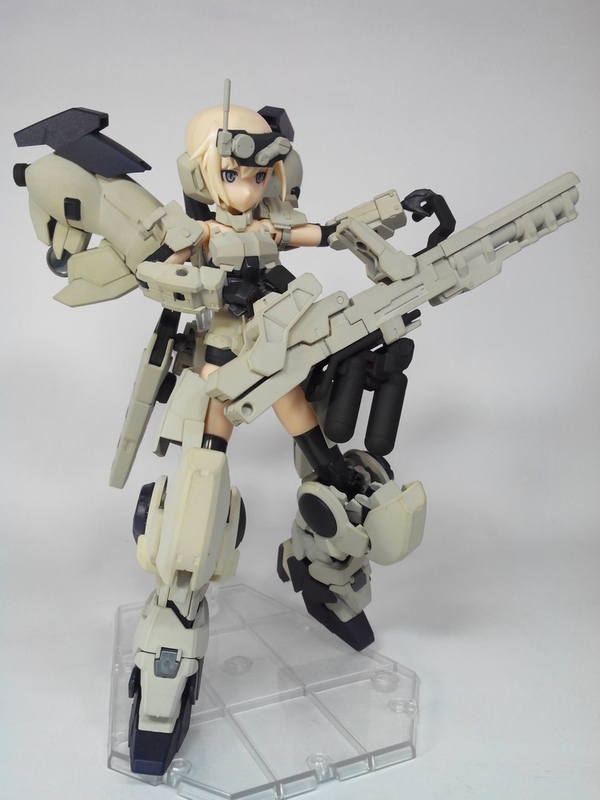 Kotobukiya has release preview images of the newest Frame Arms Girl - Innocentia. 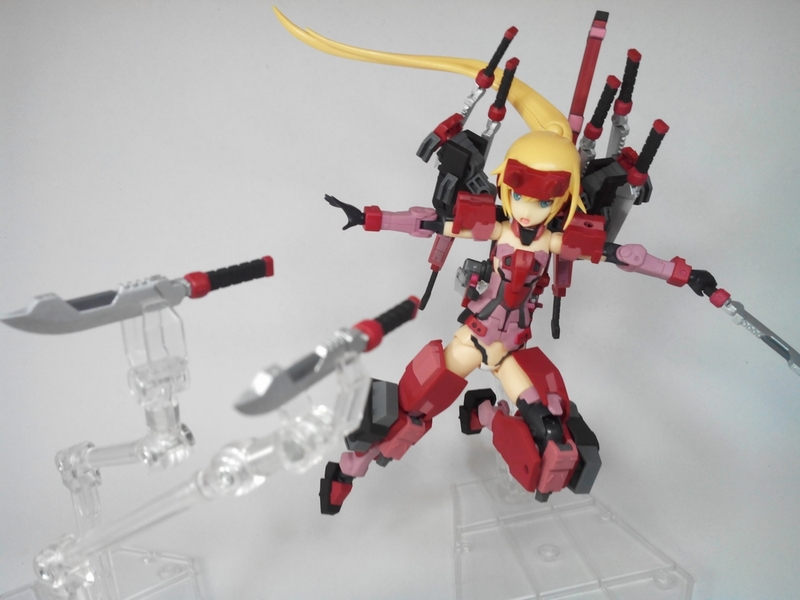 Innocentia has the same Materia frame but with the flesh limbs append parts, nekomimi, twintails and an upgrade in the chest area (the first FAG to do so). 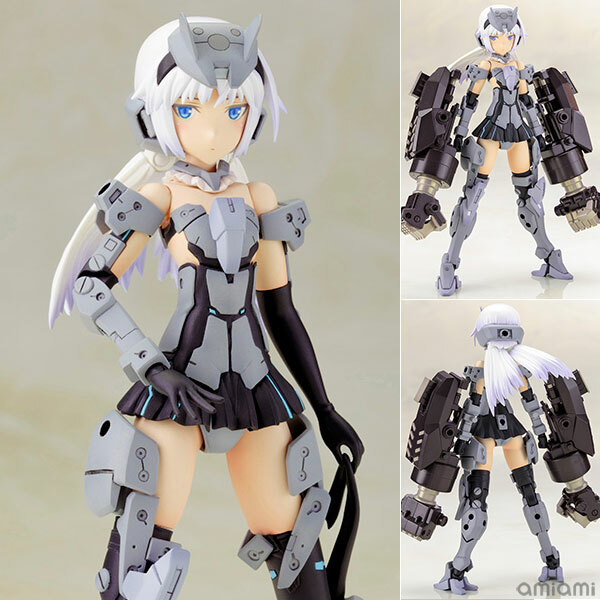 Now available for pre-order, Frame Arms Girl - Hresvelgr, the original coming out January 2017 and the clear parts append version in February 2017. 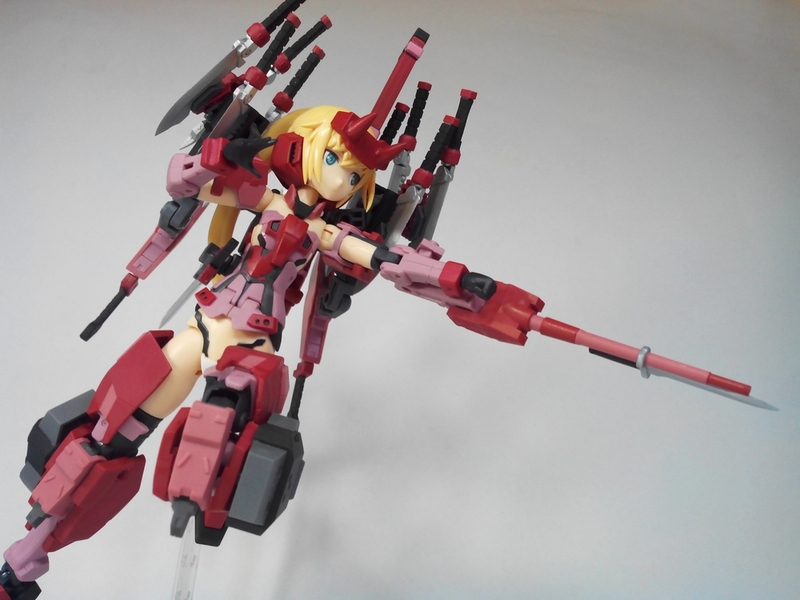 My latest custom Frame Arms Girl -Jinrai... 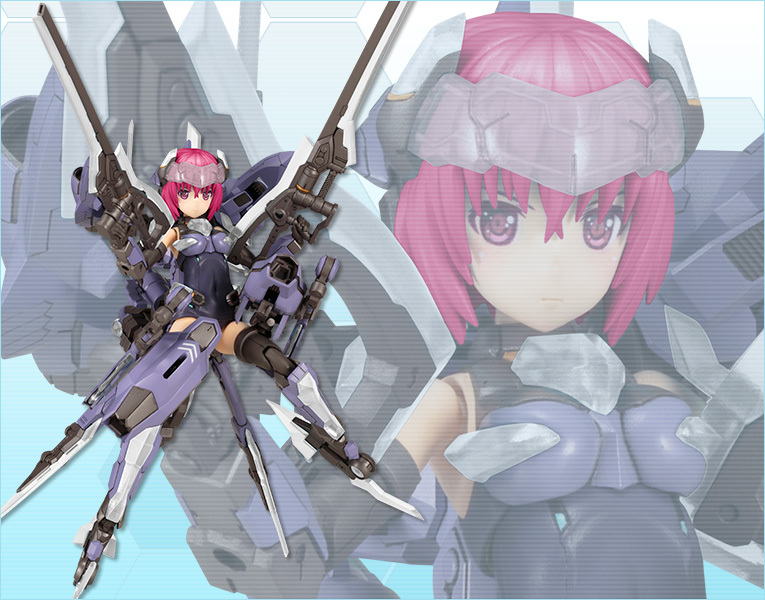 I've named her Suzune, and she's my first kunoichi (I never had Fubuki nor Mizuki... sadness...). New Materia goes up today. 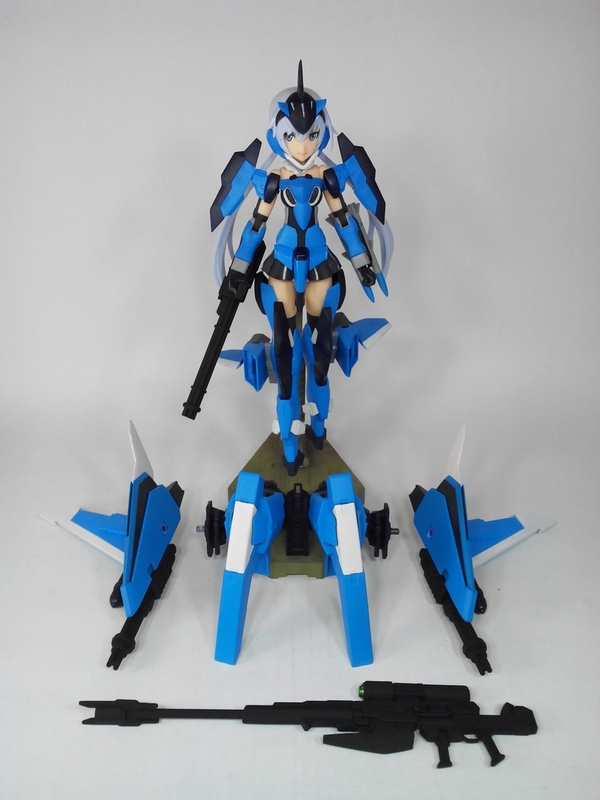 Has a bunch of improvements over the previous kits, as is usual from Kotobukiya. 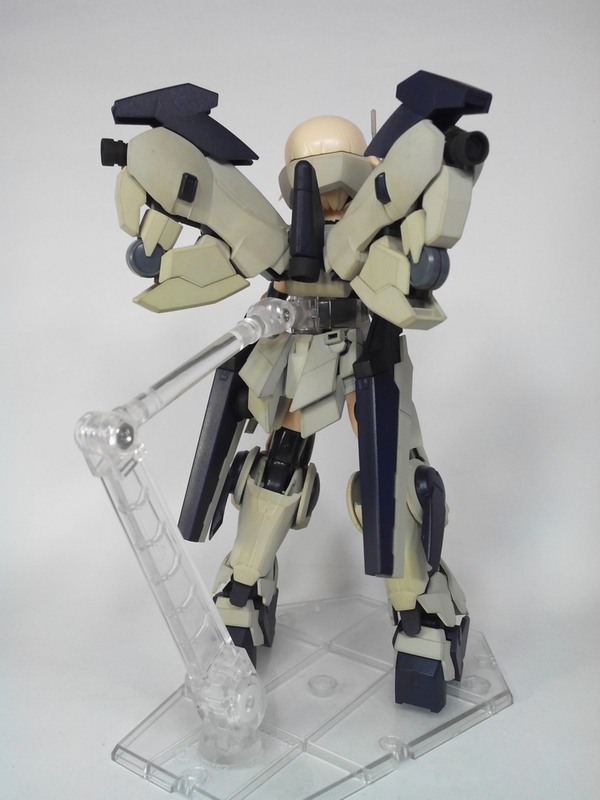 The upper torso is entirely new with pull out shoulder joints for better range of movement. 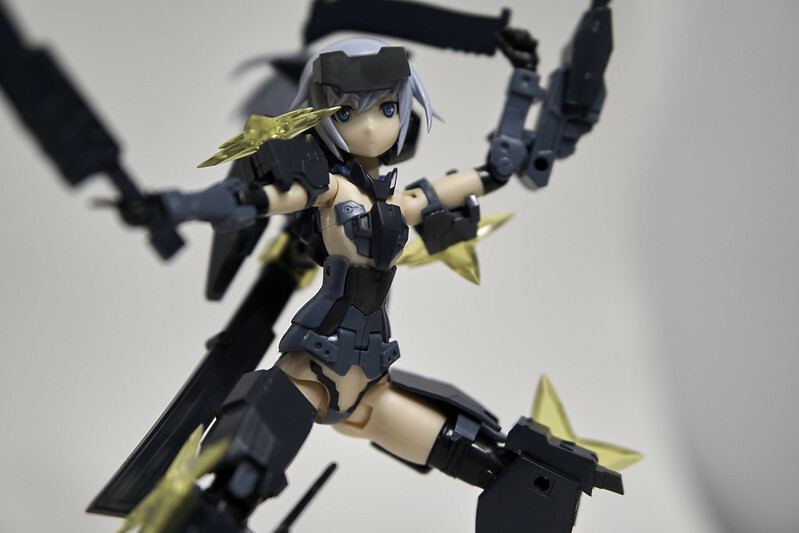 Wrist joints will be POM instead of ABS, which is much more durable. 3 more attachment ports in the back. Course, also shouldn't forget mentioning an entirely new face sculpt (grinning expression), modular hair styles, and animal ears. 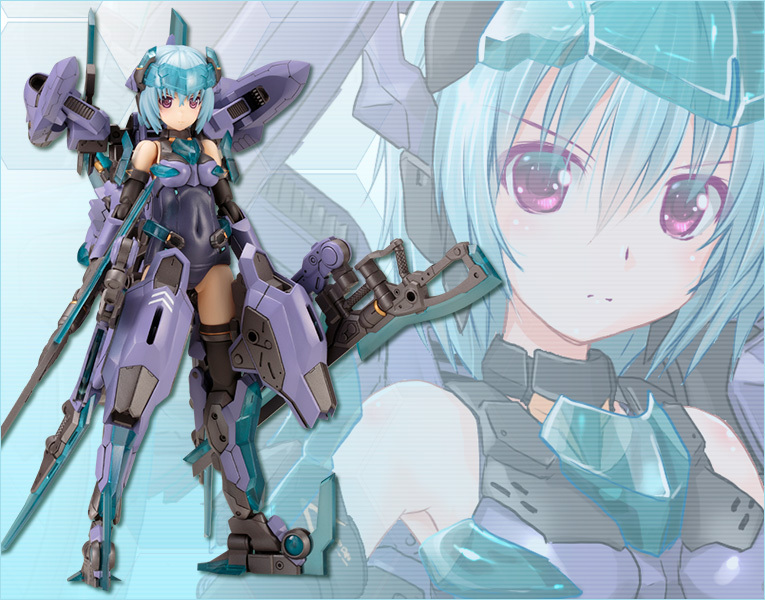 Klinkin wrote: This girl, and her accompanying Frame Arms, have not yet been named to my knowledge. 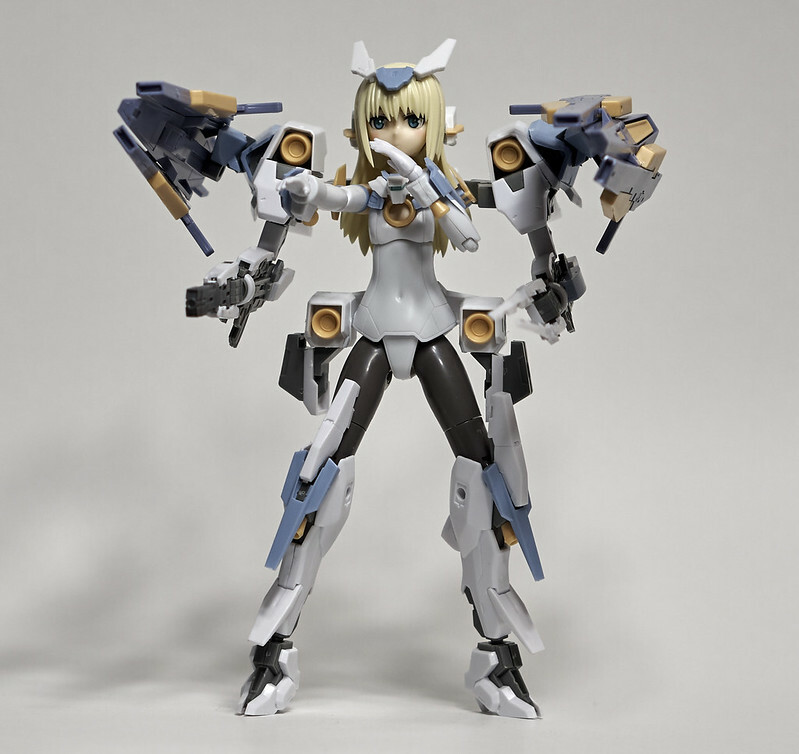 It seems likely that this may be the first simultaneous FA/FA Girl release. 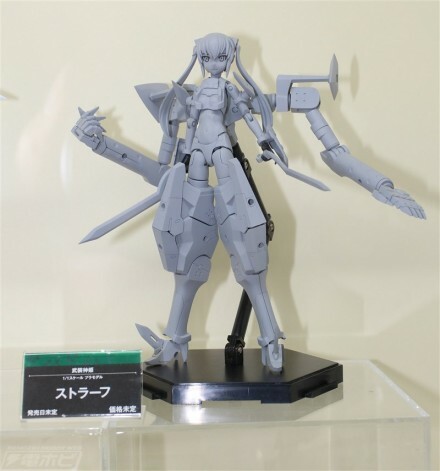 This recent 56th All Japan Model Hobby Show ("2016 第56回全日本模型ホビーショー" hosted by Dengeki Hobby) has revealed the new Frame Arm unit's name: 白虎 (Byakko, the White Tiger in Chinese astrology). 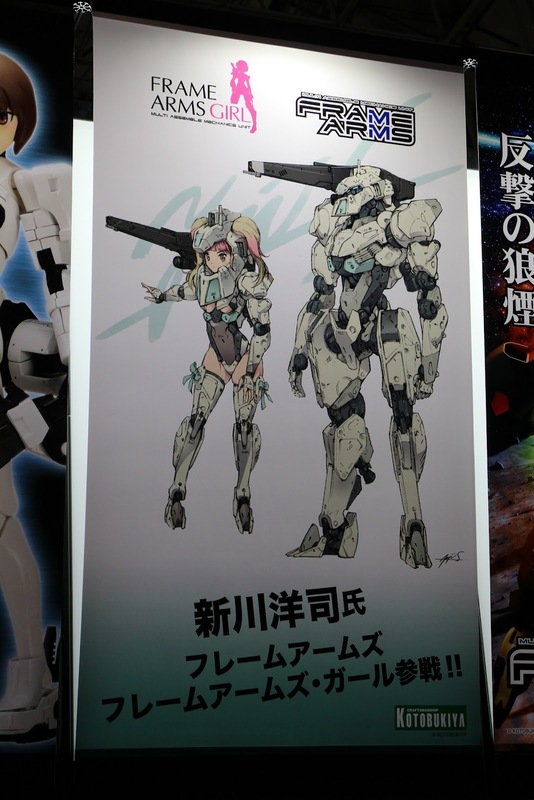 Megami Device is also slated to release two new units: SOL Hornet and SOL Roadrunner. 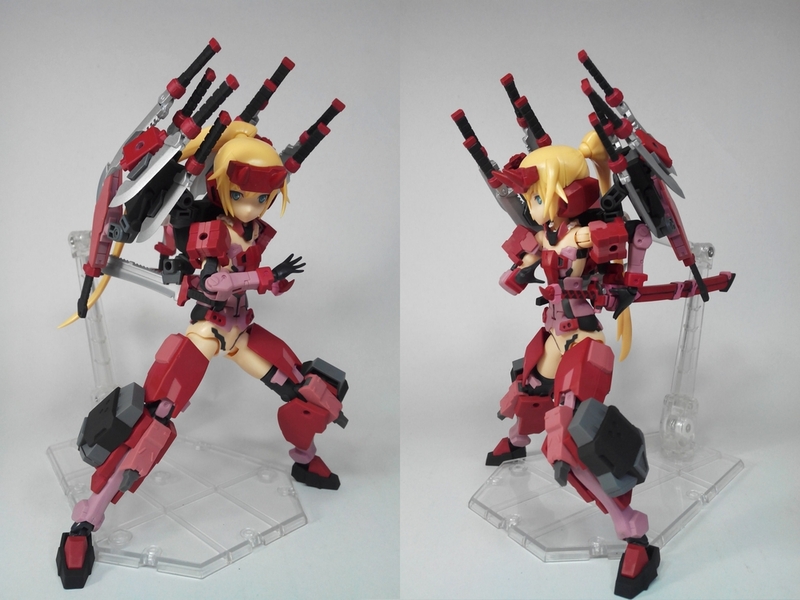 These two can combine their gear to form a Full Armor Mode. ...Ah, yes. 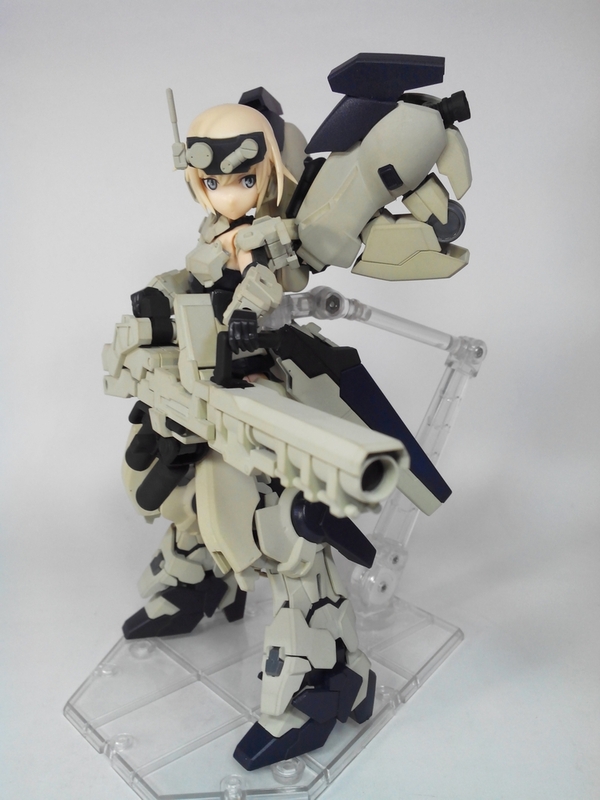 And the pre-painted preview of the new Strarf prototype. 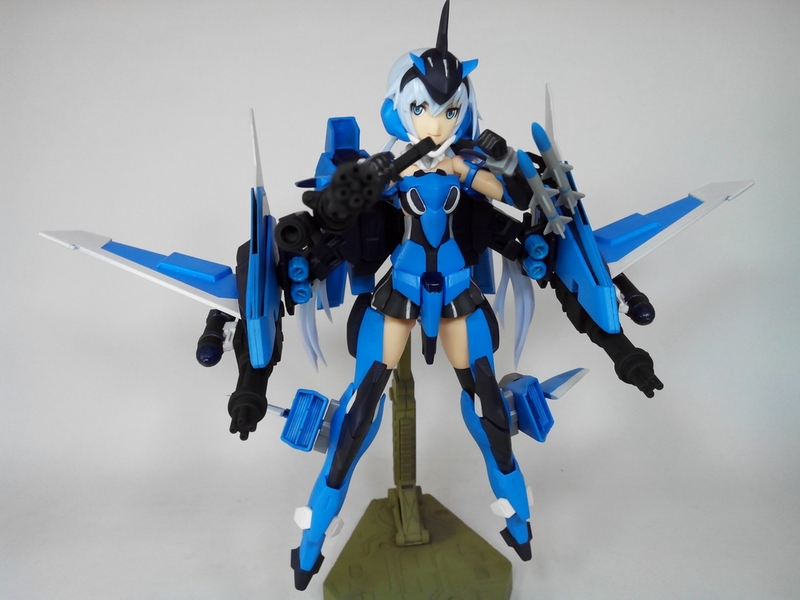 I have some of these girls as well, Baselard, Jinrai Indigo and Materia... 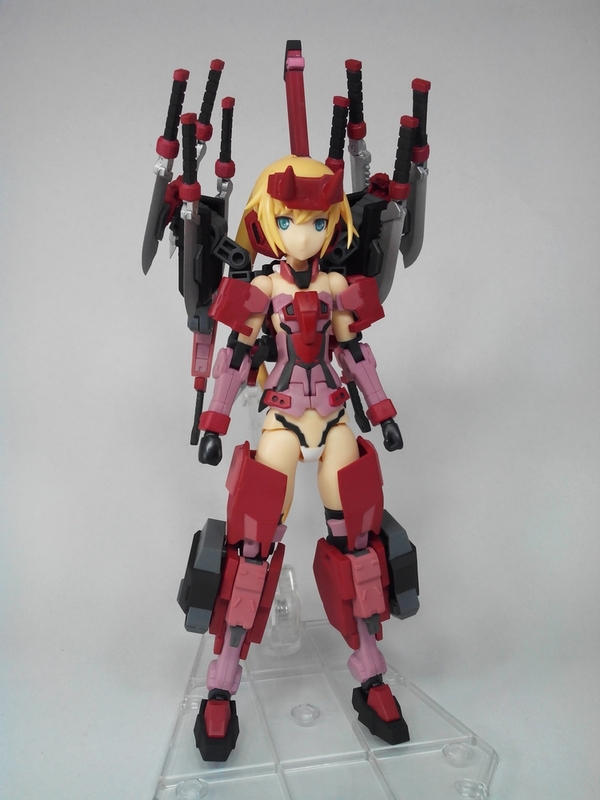 I also have the Red Baselard, Innocentia and Hresvelgr on Pre-Order ... 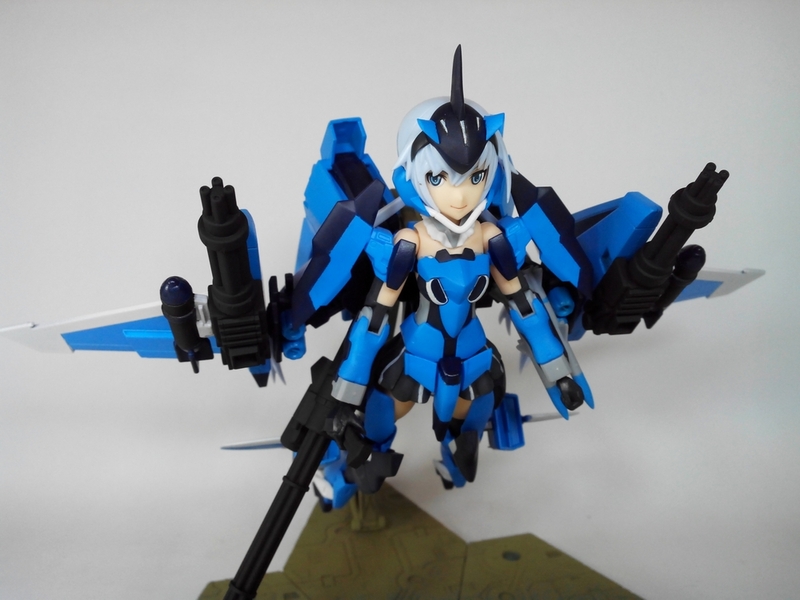 I find these girls a great alternative to Busou Shinki and they have access to way more armament and weapons too .. you can even get some 1/144 Gunpla stuff to work with them. 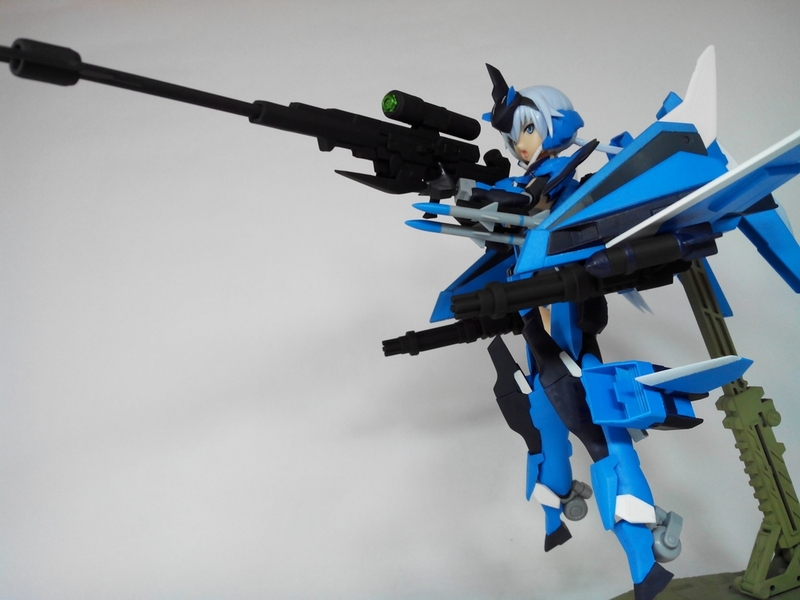 The Modeling Support Goods really opens up the potential too.. Very cool stuff. 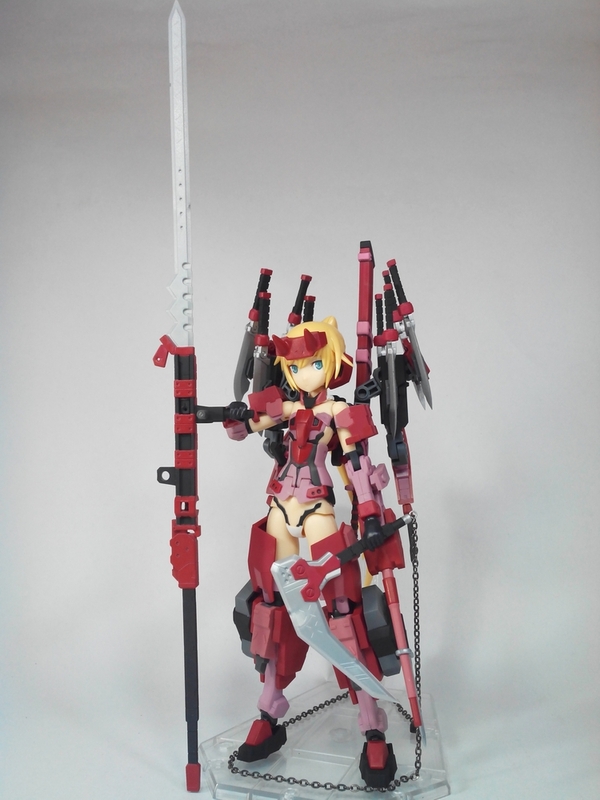 Here is another of Jinrai for fun. 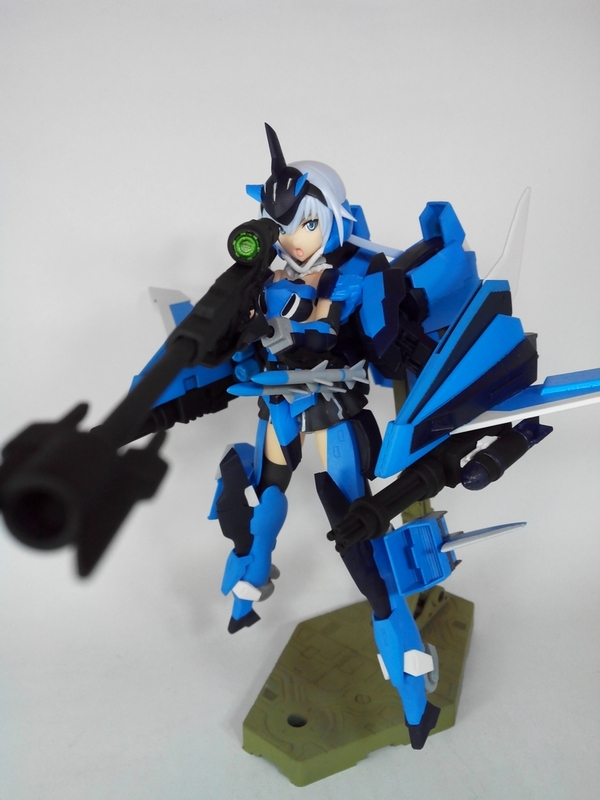 She is so cool.